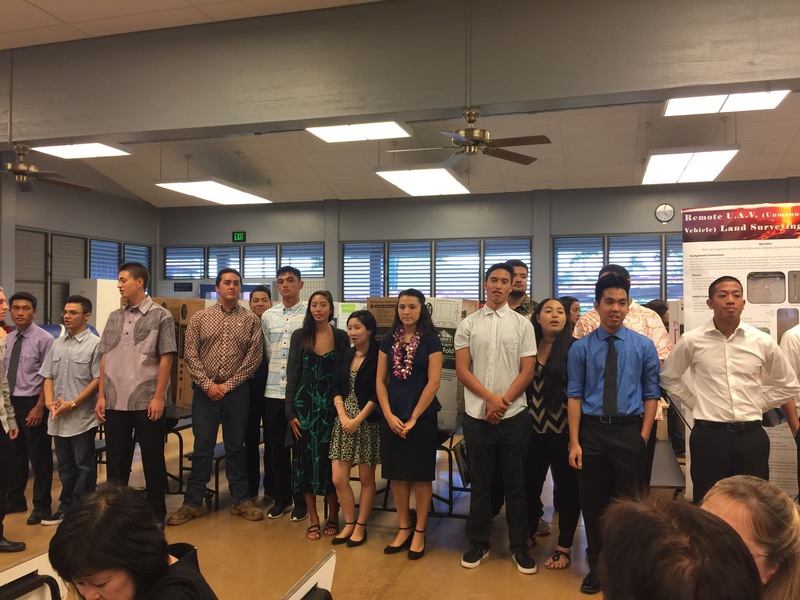 I had the honor of judging the oral presentation portion of the senior project from the Waiakea High School Business, Engineering, Sciences & Technology (BEST) Academy. If you’re in that academy, you’re definitely one of the BEST! Not only did I get to meet some awesome students, but I also got to catch up with my former Waiakea High School colleagues as well as some of my friends from the business community. Basically, what that means is that through this project, students get to showcase a part of their education and show how this learning experience was meaningful and valuable to them. This project validates part of their education and connects it to their future. Sam Halsted, a CTE teacher at Waiakea High School who is involved in helping students through the senior project mentioned that this is the “beginning of the beginning” for these students. This project gets students thinking about and experiencing a part of what they want to do after finishing their high school education. In some cases, it allows students to learn the valuable lesson that they actually don’t enjoy what they thought they would like. The oral presentation held on Career “Academy Awards Night,” is a 5-8 minute presentation that allowed students to share what they learned and gained through their participation in the senior project. The judges came from many different sectors of the community including the Bank of Hawaii, Big Island Toyota, State of Hawaii Workforce Development, Subaru Telescope, Hawaii Community College, University of Hawaii at Hilo, University of Hawaii at Manoa, Macy’s, and even underclassmen students from Waiakea High School. BEST Academy student judges from Waiakea High School. Why would a student put themselves through the added stress of completing a senior project in addition to carrying a full load of academics? It allows students to see the connections between what they are learning now and the application to their future lives in the workplace and in college. It provides real-world experiences with the responsibility for meeting timelines, making decisions, doing research, creating and performing an oral presentation. It provides involvement in the community through internships, job-shadowing, community service. It provides an opportunity to showcase knowledge and talents developed in Career Academy. This year, there were 21 senior projects and 57 showcase displays. The displays were amazing. One of the students I judged created his own acrylic display board complete with LED (I think) lights using the skills he learned during his robotics experience! Logan talked to me about linear actuators, gear ratios, torque, and pneumatic tires (Yep–a little, ok, a lot over my head) as he described his experience in the amazing robotics program at Waiakea High School. As a second grader, Logan got a Lego set as a gift and has had an interest in mechanical engineering ever since then. He is planning on attending college at UC Santa Cruz after graduating from Waiakea High School. Although the students were very nervous as they presented to a bunch of strangers here specifically to judge them, it wasn’t all work, work, work. We did have some laughs during the evening. We have amazing students coming out of our public schools in Hilo. Great job, Waiakea High students and teachers! These students are showing professionalism, passion, and excitement for their future. Living Hilo Style.